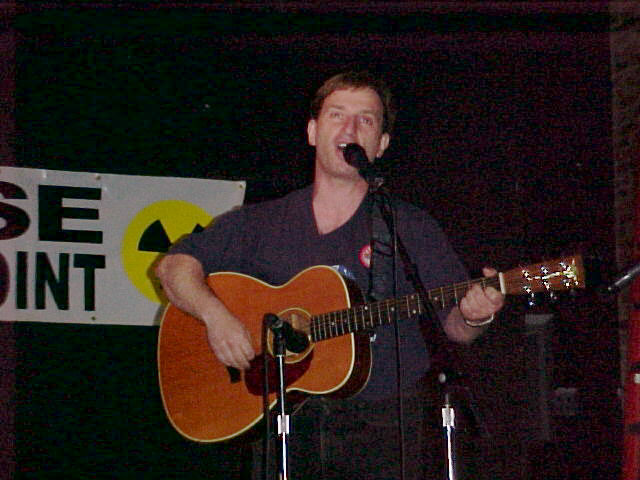 Sunday, July 20th, the International Preparedness Network, led by Aton Edwards, hosted an environmental awareness event at the Bowery Poetry Club in Manhattan. 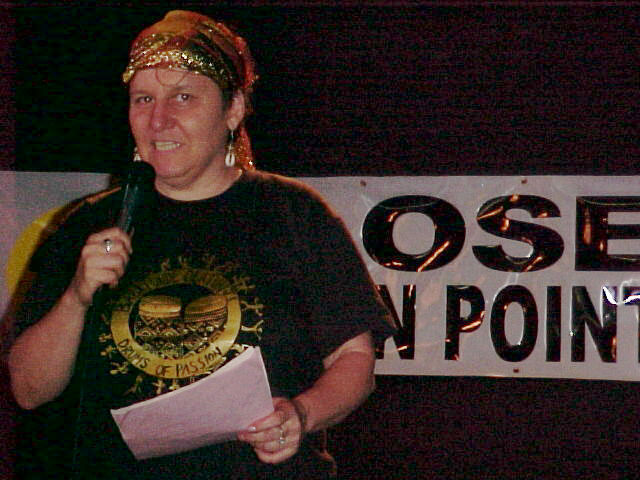 Poets, speakers and musicians expressed themselves and the message of global environmental sanity and sustainability. 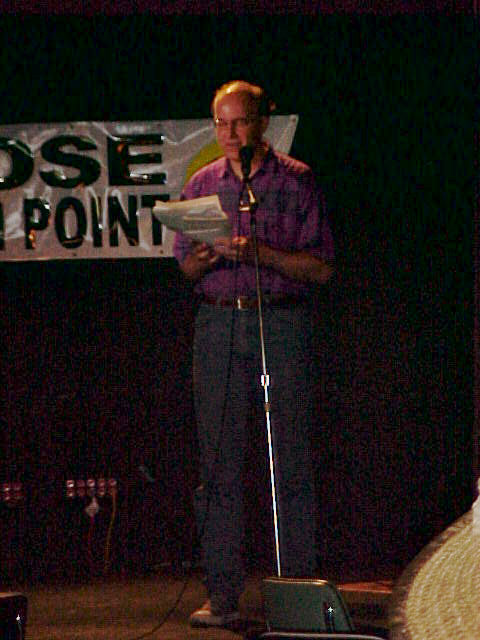 One issue featured was the danger posed by Indian Point, a nuclear energy facility 30 miles from downtown Manhattan. 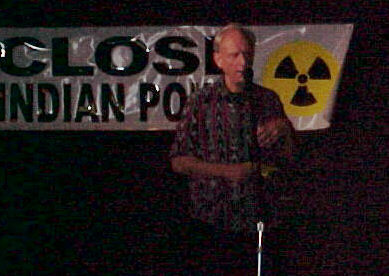 Organizations seeking to shut down Indian Point were in attendance helping audience members take action. Contact Riverkeeper (www.riverkeeper.org), Hudson River Sloop Clearwater (www.clearwater.org), or Lisa Rainwater van Suntum (ipsecpc@bestweb.net) for more information. Aton promises that this was the first of many such events promoting awareness and action about the real and present dangers facing citizens of our town and our planet. 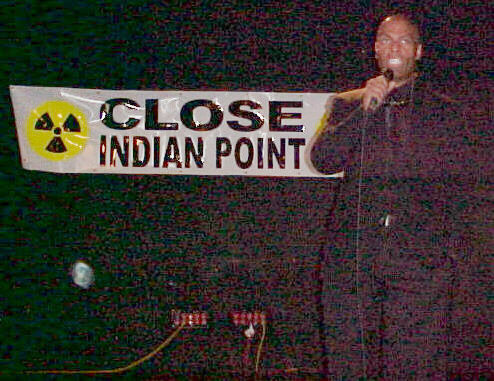 Aton Edwards, Executive Director of the International Preparedness Network, emcees "The Day the Earth Died"
sang about the dangers of Indian Point. 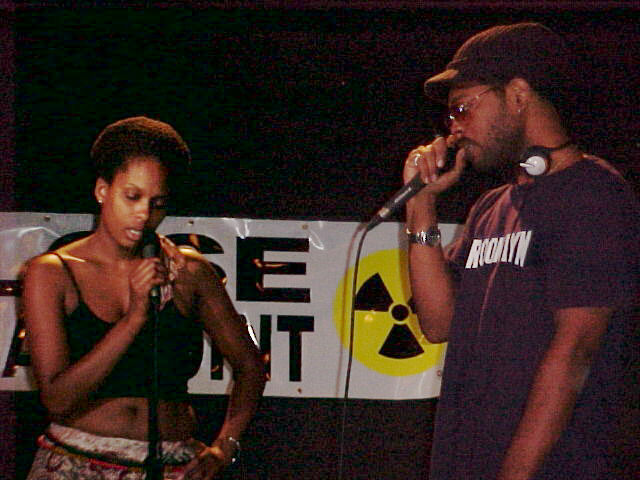 brought their talent to the Bowery Poetry club stage. offered a perspective of peace and justice. by the local, state and federal governments. of women in her native country.